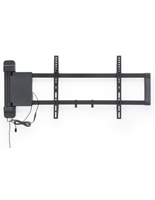 What are my options for mounting a smaller TV? 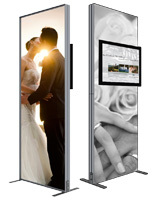 Whether the application is for the wall, desktop, or floor, the choices are virtually limitless. 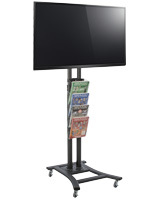 All the TV stands for small screens offered here are sized to handle 32" monitors and under. 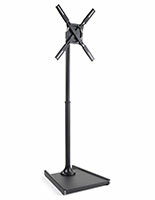 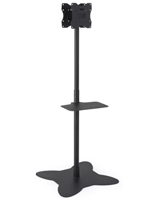 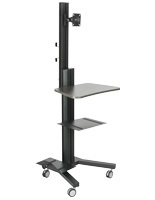 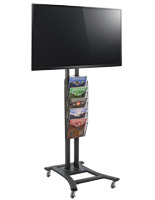 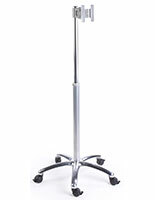 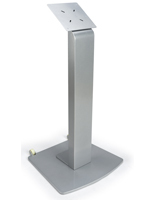 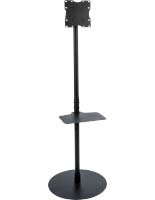 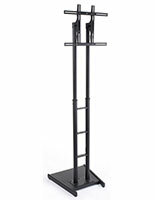 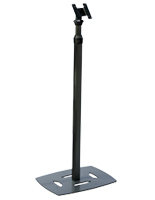 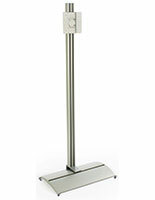 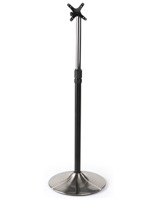 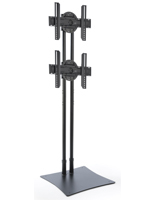 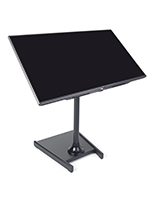 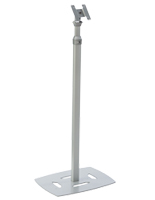 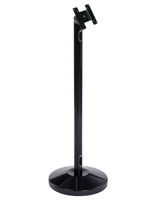 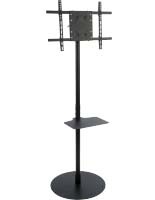 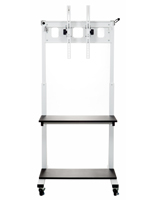 Especially useful in cramped areas such as trade show booths, product showrooms, and office environments, this collection of stands and mounts offers diverse designs for the business professional. 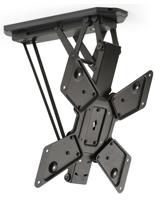 Each and every mounting bracket comes with standardized VESA hole patterns that are compatible with literally any flat screen TV. 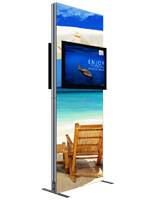 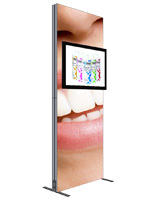 The majority of TV stands for small screens are our floor displays. 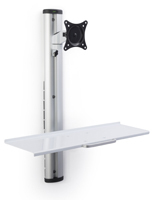 Featuring adjustable height capabilities as well as tilt and rotating options, these monitor fixtures provide strategic placement in any open floor plan. 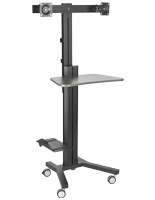 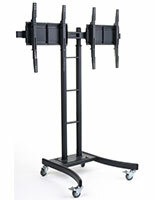 Some models even come with rolling casters for easy mobility from room to room. 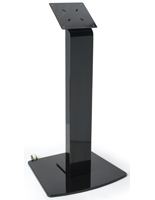 Depending on the material construction, you have your choice of black or silver in anodized, painted, or powder-coated finishes. 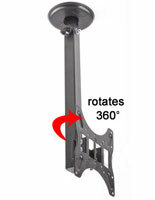 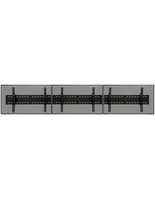 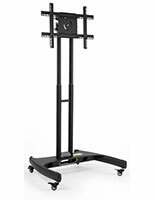 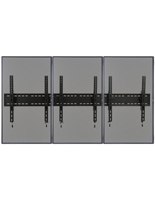 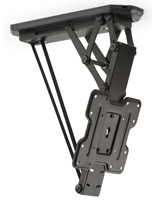 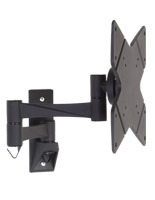 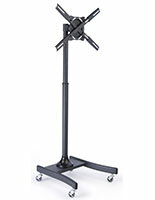 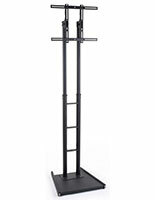 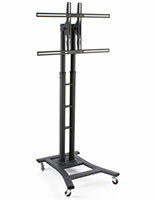 Wall mount TV brackets save on floor space while still providing comfortable viewing angles. 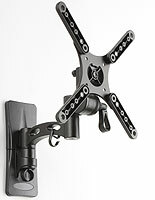 Locations like waiting rooms, fitness clubs, and bars all rely on wall mounted TVs due to their high-traffic workspaces. 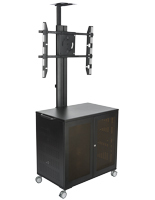 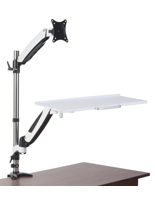 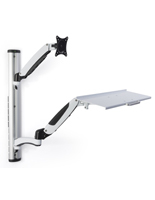 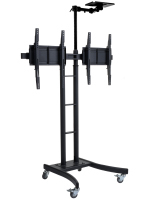 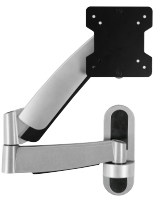 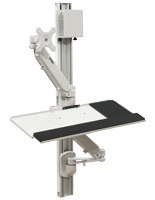 Available mounts include fixed brackets for stationary applications or articulated arms that tilt and pan your flat screens for a more beneficial viewing angle. 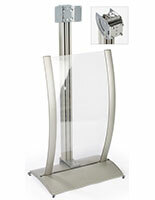 Desktop models are becoming exceedingly uselful in the workplace. 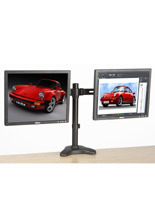 With everyone jumping on the bandwagon by utilizing more than one monitor, it becomes necessary to use a tabletop mount for handling the space requirements of not only two, but up to six screens at a time. 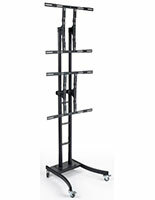 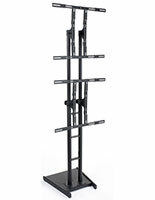 TV stands that support small monitors are just one facet of our wide-ranging inventory here at TVStandsOnly. 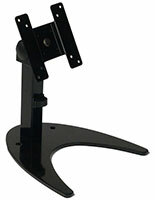 Most in stock products ship out same day when purchased before 3PM EST, M-F.